It features band-limited waveforms to have a nice analog sound with no aliasing. Some tracker like "tables" and a unique way of circuit bent the Noise channel! witch basically gives you the ability to reach some ATARI 2600 like metal noise or mess it up in a unique way, all of that in real-time. Almost everything can be automated or MIDI learned. 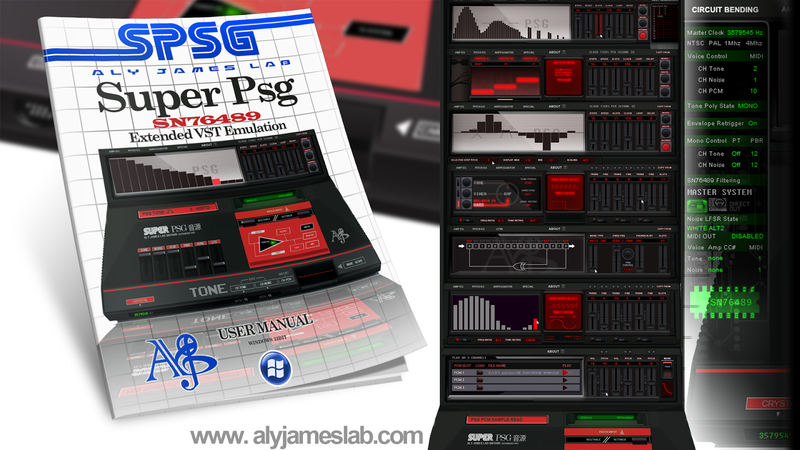 in order to make some advanced sound out of the simple PSG. The output can be either Direct chip output, SMS or Genesis filtering. Also Volume and Pitch data can be exported via MIDI OUT, that will also give the possibility to make a .VGM file to include in Homebrew Games or play on a real SMS/Megadrive. Can also work as a controller for a modified version of the Little Scale's open source SN76489 interface that anybody can build!. It will be available on the same basis as FMDrive Vsti (YM2612 emulation) with a minimum donation.